Buxton Heating have many years experience serving, installing and repairing a range of domestic boilers. 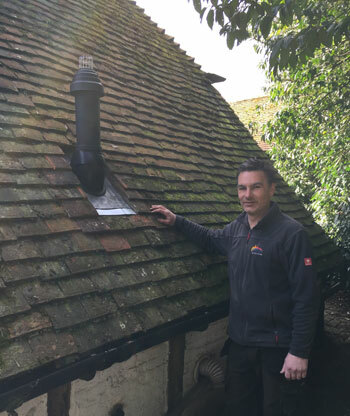 We are proud to have helped a number of customers in Fernhurst and the surrounding area by installing highly effective and reliable central heating systems. If you would like to learn more about our range of services then please contact our team who will be happy to offer you expert advice. There are a number of reasons why people may look to install a new boiler. It may be upgrading an old boiler for a more efficient model, replacing a broken boiler or installing a boiler in a new build. Our team have plenty of experience dealing with a range of boilers and have installed them for a number of different reasons. If you need a boiler installed then make sure to choose fully qualified gas engineers who will be able to make the right decision on what boiler you go for. If you do not already, then you should consider the benefits of getting your boiler serviced on a regular basis. Our engineers will perform a thorough inspection of your boiler to ensure that it is working properly and efficiently. All of our boiler services include a flue test which will indicate if your boiler is emitting any harmful emissions. Your boiler is an important part of your home, so make sure it is operating as it should be. Unfortunately, there is always a chance that you will encounter an issue with your boiler that requires the attention of boiler repair specialists. Our team have a vast amount of experience repairing a range of domestic boilers, so will be able to respond quickly to repair the fault and return your boiler to normal working order.